Again this year we will run a LONG distance challenge for windsurfers and kitesurfers – where you all race together!! The setup will be 2 days of racing to ensure most possible time on the water! First possible start for the long distance challenge will be Friday, and we’re aiming for two races both Friday and Saturday. We aim at racing to Ringkøbing and back – but we are wind dependent, so we will adjust the course accordingly. 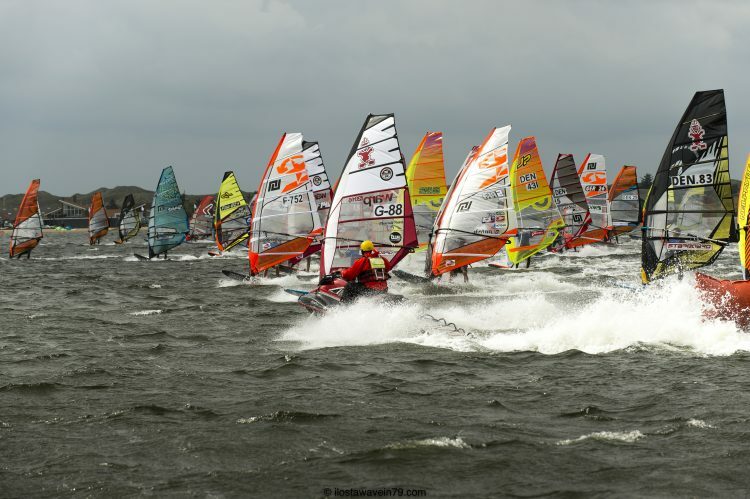 Windsurfers and kitesurfers will battle against each other in the same races, and the course will be crossing Ringkøbing Fjord as you know it from earlier years! We have limited the number of competitors for this race to 400 racers! This is to ensure that everybody will have the best racing experience possible!! You can already now register and this way make sure that you will be one of the lucky 400 to compete!! Any equipment is allowed at our race, but we cannot guarantee more than 1 meter water depth between the start and finish line. Using a board with more than 1m depth is on own risk.